The Majestic 2-seater sofa has been crafted with a two-tone fabric and faux leather trim to create a modern and stylish feel. 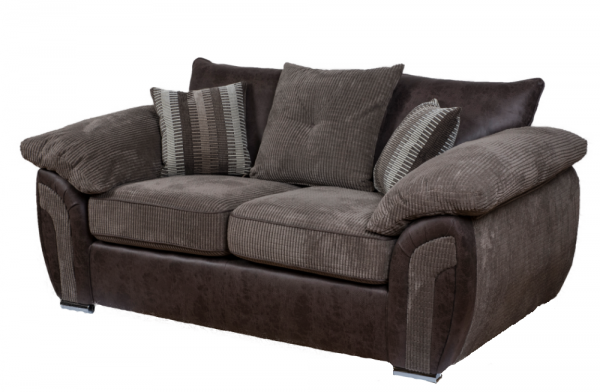 Sit back and relax into the deep arm cushions and soft mink fabric. What's even better is that the accent cushions are included and the 3-seater and curved sofa are available.